An alternative view has captured the true genius behind Naby Keita’s pass during the build up to Mohamed Salah’s goal against Bournemouth on Saturday. 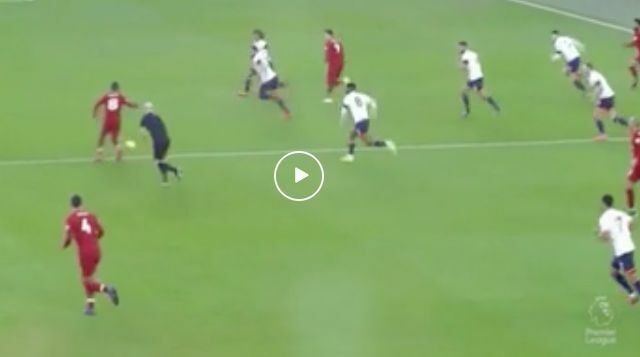 The Guinean not only spotted the run in-behind from Roberto Firmino, but was able to execute a perfectly-weighted through ball into the path of the forward. This meant bypassing both Steve Cook and Nathan Ake by curling his pass without the outside of his boot, similar to the manner in which Steven Gerrard did for Daniel Sturridge against Fulham during the 2013/2014 campaign. Facing away from goal, Firmino back-heeled the ball into the direction of Salah before the Egyptian calmly slotted into the bottom corner. In one of the slickest team goals seen by Jurgen Klopp’s men so far this season, Keita supplied a timely flash of the difference-making creativity he is capable of offering moving forward.